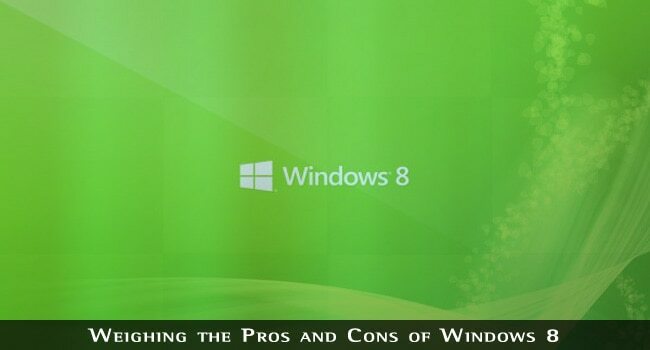 Microsoft successfully released the latest iteration of its operating system, Windows 8, in market shelves. After trying the Pro version on my personal computer, I was able to point out some advantages and disadvantages regarding this anticipated release. As a long-time Windows user, I’ve been itching for an impressive release from the Silicon Valley-based company, and here are some of the things I noticed. Across-the-board UI: This new product enables Microsoft to offer a “merger” of the tablet, PC, laptop, and smartphone user experience. Since user interfaces available on different Windows 8 versions are similar regardless of devices, users don’t need to spend a lot of time finding their way around different interfaces. Improved security: Windows 8 brings in some serious security enhancements never before seen in any other Microsoft product. For the first time ever, antivirus comes pre-installed with the OS to help keep your system safer from the very first day you turn your PC on. The updated version of Windows Defender pretty much lets you protect your computer from viruses, spyware, Trojan horses, rootkits, and other malware without having to spend a dime on third-party software. Easy upgrade: Those coming from the Windows 7 environment won’t have a hard time downloading and upgrading to this new Microsoft platform. According to first-hand user experiences, upgrades went relatively smooth and existing software has worked fine for the most part. All-new user interface: In the same regard that some people find the new interface fantastic, some may completely abhor it all together. Some adopters may find it hard to navigate through the desktop while some might find it hard to find their way back to the start menu. The start menu, for whatever it’s worth, is what makes Windows ‘Windows’; and the new Metro UI completely diminishes that essence. It will surely take some serious behavioral adjustment for those used to the start menu and the entire thingamajig since Windows 95 to get used to the new one. Steep learning curve: Since the new interface brings in an ambitious shift in a lot of things, it is expected that average users would get confused and will take some time to get used to the new controls, commands, and navigation of Windows 8 devices. Overemphasis on touch: Windows 8 was designed by Microsoft with tablets or touchscreen devices in mind. Although it is fully navigable for those running traditional systems, some desktop PC or laptop users who just underwent a software upgrade may feel clumsy using the environment without the touchscreen capabilities it is originally designed for. Gestures may not be intuitive as using the tip of your finger, vis-à-vis using a mouse. 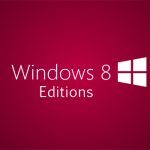 Required upgrades: Hardware and software options can also become an issue when moving towards windows 9. Existing computers just won’t cut it; some users have experienced issues of matching the OS with their processor’s underlying architecture or their screen resolution. And there’s always the issue of moving on to a touch device in order to take advantage of the full Windows 8 experience. Windows 8 isn’t perfect, and there’s still so much work to be done. But overall, Microsoft has done a good job in making a forward-looking OS that is simple, clean, and balanced. It’s just a matter of preference; it will still boil down to what you need. Hopefully, the pros and cons pointed out above will help you decide whether you should stick with what you have or proceed with the big upgrade. But the new UI looks cool. Have to show some improvement in development. Never worry about the cons. Window 8 is best for tablets. Yeah I agree looks is cool, but sometimes we’ve to worry at cons also, analyse the cons then decide if product is useful or not. Thanks for sharing this. Is this windows 8 better than windows 7? Very soon now, they will introduce another window may windows 10. Performance, look and feel is better, which is better is depends upon your need, but in many cases latest version is best as compare to old :) I don’t think so they’ll introduce Windows 10 very soon. It’s all about marketing strategy. I am using Windows 7 and looking to switch to Windows 8 but as most people say that it has some problems so I will wait for a while so that all the bugs are removed and then will give it a shot. Over all looks to me a great operating system. Yeah, overall it’s a great operating system with improved performance and appearance. I am effective user of windows 7. Even though Windows 8 has negative reviews it has some exciting features as well. Expecting some improvements better than its previous version. Windows 8 is cool operating system but I still miss the traditions windows features likes start menu. desktop icons etc. Lovely for portable devices, absolutely wondeful. I don’t fancy it for desktops however or working laptops, I still like the old speed and comfort. Promising for the future nonetheless. Touch imput is very cool tho, not sure if we’ll have any simple monitors in 5-6 years! The new interface is a pro for me, I love it. :-) You are so right on the steep learning curve part. windows 8 isnt bad but its isnt good for ppl like me who like to play their games ive had many proble ms trying to install older games on win 8 win 8 is good on phones tablets but on a pc it lacks many things if u wanted it to be full proof should have added setting that make win 8 change between no start menu to having a start menu and or be able to change to touch or mouse controls would have made it smoother for those who do not wish to learn a new interface.